All shops are sold by asset sale. Offers will be considered for any combination of shops including on an individual basis, however our client’s preferred route will be a sale by the above regional grouping. 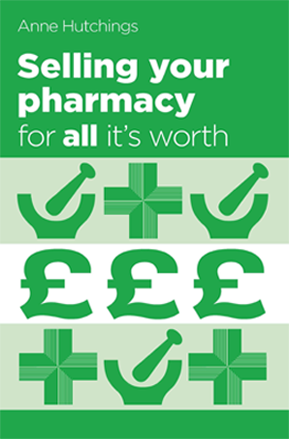 The pharmacies include an attractive selection of integrated medical centre units through to high street based units and represent a chance for regional operators to increase and consolidate their local market share as well as first time buyers looking to secure a solid pharmacy business with future growth potential. We ask any interested parties requiring further details to complete the registration form below. As part of the registration process you will be asked to agree non-disclosure terms which will apply to all information relating to Project Nuno and our client which Hutchings Consultants divulge to you. You will be sent a copy of this non-disclosure agreement for both parties future reference. On completing the registration process, you will have access to a limited, confidential overview of shop information allowing you to assess the opportunities based on locations, turnover, items and individual guide price. Further Financial information will be provided by way of a secure data room facility to interested parties on request. In the first instance, we are requesting mystery shops only by interested parties. 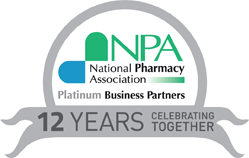 This means that on no account should staff members of any of the pharmacies be approached in relation to the sale nor should the sale be discussed directly with our client or any of their representatives. All enquiries are to be made via Hutchings Consultants being retained as sole agents for the sale. If you are interested in acquiring any of these pharmacies and wish to see the premises, please communicate your interest to Hutchings Consultants by e-mail detailing which shops you would like to visit. There will be an opportunity before acceptance of any final offer to view the premises more formally. As with most professional advisors, we are required under Government AML regulations to undertake due diligence on and positively identify all beneficial owners of a legal entity whose offer has been accepted to purchase a pharmacy. A beneficial owner will own 25% or more of the shares in the purchasing vehicle. In submitting your offer to us, all beneficial owners must be prepared to provide the standard required information to us which is detailed at the bottom of the offer form and for us to carry out an electronic identity check. To further the business relationship between Hutchings Consultants Ltd and the registering individual or interested party “Recipient” it is necessary that Hutchings Consultants Ltd discloses to the Recipient confidential “Information” relating to Pharmacies for whom Hutchings Consultants Ltd is acting as sole agent. The Information relating to these pharmacy businesses may include without limitation, trading accounts, trade secrets, future or proposed products or services, business forecasts, trading information, and sales prospects, details of property investments, details of the vendors (“Sellers”) etc. The “Recipient” used as herein shall mean and include the individual that is registering or is already registered as a buyer with Hutchings Consultants Ltd, and also include any associated partnership, limited liability company, corporation or other business entity. The “Information” is of a proprietary and confidential nature, the disclosure of which to any other party could result in damages to the Sellers and/or business. If the Recipient does not purchase the Business, or on the request of Hutchings Consultants Ltd, the Recipient will promptly destroy or return all Information previously furnished by Hutchings Consultants Ltd, including any and all reproductions of the same, and further, shall destroy any and all analyses, compilations or other material that incorporates any part of said Information. The Recipient shall establish and maintain adequate security measures to safeguard the Information from unauthorised access or use. The Recipient will not contact the Sellers or Sellers’ employees, customers, suppliers or agents other than Hutchings Consultants for any reason whatsoever without the prior written consent of Hutchings Consultants Ltd. All contacts with Hutchings Consultants’ Client’s / Sellers will be made through Hutchings Consultants Ltd unless otherwise agreed to by Hutchings Consultants Ltd in writing. Seller’s employees may not be aware of the sale of the Business and the Recipient must not to disclose to Seller’s employees that the Business is for sale, nor identify that the Recipient is a possible purchaser of the Business, nor contact them in any other way. The Information furnished by Hutchings Consultants Ltd has been prepared by or is based upon representations of the Sellers and Hutchings Consultants Ltd has made no independent investigation or verification of said Information. Hutchings Consultants Ltd cannot warrant accuracy or completeness of the Information. The Recipient hereby expressly releases and discharges Hutchings Consultants Ltd from any and all responsibility and/or liability in connection with the accuracy, completeness or any other aspects of the information and accepts sole and final responsibility for the evaluation of the Information and all other factors relating to the Business or Businesses. The Recipient understands and acknowledges that it has been advised to engage accountants and other advisors to complete due diligence on any business offered for sale to verify that the business is satisfactory. The Recipient understands that the future success or failure of a business is primarily dependent on the Recipient’s knowledge and efforts and is not dependent on the businesses past volume of business or profitability. The Information is subject to change or withdrawal without notice and the business or businesses being offered for sale subject to prior sale or the withdrawal of said offering without notice. The Sellers and Hutchings Consultants Ltd reserve the right to alter, change or restart the proposed marketing, offers process or negotiations at any point and are under no obligation to notify the Recipient of those changes. The decision to accept or reject any offer received from any party is made with sole discretion of the Sellers and both the Sellers and Hutchings Consultants Ltd are under no obligation to provide an explanation or any notice of the decision to the Recipient. The Sellers will be free to conduct negotiations with one or more interested party or parties in respect of the same business or businesses and free to enter into exclusivity agreements with prospective purchasers at any point during those negotiations without notice or explanation to any other interested party or Recipient. The Recipient will indemnify Hutchings Consultants Ltd and the Sellers against all liabilities, costs, expenses, damages and losses (including but not limited to any direct, indirect or consequential losses, loss of profit, loss of reputation and all interest, penalties and legal costs (calculated on a full indemnity basis) and all other professional costs and expenses) suffered or incurred by Hutchings Consultants Ltd arising out of or in connection with any breach of this Non-Disclosure Agreement and all claims or actions arising from the Recipients acts or failures to act in pursuing the possible purchase of the business or businesses. This Non-Disclosure Agreement and any dispute or claim (including, without limitation, non-contractual disputes or claims) arising out of or in connection with it or its subject matter or formation shall be governed by and construed in accordance with the law of England. Each party irrevocably agrees that the courts of England shall have exclusive jurisdiction to settle any dispute or claim arising out of or in connection with this Non-Disclosure Agreement or its subject matter or formation. This Agreement shall be binding upon the Recipient and if any provision of this Non-Disclosure Agreement shall be held to be invalid, void or unenforceable, the remainder of the provisions hereof shall remain in full force and effect and this Non-Disclosure Agreement shall be construed as if such invalid, void or unenforceable provision had not been contained herein. The terms and conditions of this Non-Disclosure Agreement shall also apply to any business and/or property on which Hutchings Consultants have been retained to represent the owner(s) in the sale thereof and on which Hutchings Consultants Ltd or owner(s) has furnished information to the Recipient. Further, it shall not be necessary for the Recipient to execute any additional agreement(s) to that effect and any terms and conditions of this Non-Disclosure Agreement that refer to the date hereof shall automatically be adjusted to reflect the date on which Hutchings Consultants Ltd or owner(s) initially furnished information to the Recipient on such other business and/or property. The provisions hereof cannot be modified, amended, supplemented or rescinded without the written consent of Hutchings Consultants and this Non-Disclosure Agreement sets forth the entire agreement and understanding of the parties hereto. Hutchings Consultants Ltd reserves all rights in the Information. The disclosure of Information by Hutchings Consultants Ltd to the Recipient does not give the Recipient or any other person any licence or other rights in respect of any Information beyond the rights expressly set out in this Non-Disclosure Agreement. The disclosure of Information by Hutchings Consultants Ltd shall not form any offer by, or representation or warranty on the part of, Hutchings Consultants Ltd to enter into any further agreement with the Recipient, or that the Sellers will go through with any proposed sale of the relevant business, businesses or property. Without prejudice to any other rights or remedies that Hutchings Consultants Ltd may have, the Recipient acknowledges and agrees that damages alone would not be an adequate remedy for any breach of the terms of this Non-Disclosure Agreement. Accordingly, Hutchings Consultants Ltd shall be entitled to the remedies of injunctions, specific performance or other equitable relief for any threatened or actual breach of this Non-Disclosure Agreement by the Recipient. Nothing in this Non-Disclosure Agreement is intended to, or shall be deemed to, establish any partnership or joint venture between the parties, constitute any party the agent of another party, or authorise any party to make or enter into any commitments for or on behalf of any other party. Each party confirms it is acting on its own behalf and not for the benefit of any other person. The Recipient must not assign, transfer, mortgage, charge, subcontract, declare a trust over or deal in any other manner with any of its rights and obligations under this Non-Disclosure Agreement. This Non-Disclosure Agreement constitutes the entire agreement between the parties and supersedes and extinguishes all previous agreements, promises, assurances, warranties, representations and understandings between them, whether written or oral, relating to its subject matter. Each party agrees that it shall have no remedies in respect of any statement, representation, assurance or warranty (whether made innocently or negligently) that is not set out in this Non-Disclosure Agreement. Each party agrees that it shall have no claim for innocent or negligent misrepresentation [or negligent misstatement] based on any statement in this Non-Disclosure Agreement. No failure or delay by a party to exercise any right or remedy provided under this Non-Disclosure Agreement or by law shall constitute a waiver of that or any other right or remedy, nor shall it prevent or restrict the further exercise of that or any other right or remedy. No single or partial exercise of such right or remedy shall prevent or restrict the further exercise of that or any other right or remedy. Unless it expressly states otherwise, this Non-Disclosure Agreement does not give rise to any rights under the Contracts (Rights of Third Parties) Act 1999 to enforce any term of this Non-Disclosure Agreement. The rights of the parties to rescind or vary this Non-Disclosure Agreement are not subject to the consent of any other person. Who can I speak to in relation to my interest? Where are the shops located and what prices are being asked? This information is provided as part of the group information overview which is provided following registration. You need to click on the individual shop markers to view the information relative to that shop which include location, price, turnover e.t.c. How do I receive more detailed information and financial statements? You will need to express your interest directly to Hutchings Consultants and the consultant dealing with the shop or group of shops in question. Alternatively click the links above to e-mail us. We will be able to grant you access to the data room which includes shop specific profit and loss accounts, staff information and NHS statements. Why are there no formal accounts for the shops in the data room? As the pharmacies constitute a large group entity, formal accounts are only compiled in relation to the whole. Management information has therefore been provided for each of the individual shops being marketed and will be warranted by the sellers as part of the legal process. How can I secure funding for my offer? We work with several finance brokers who are in touch with all of the high street lenders and can in some circumstances secure preferential rates for buyers. We would recommend contacting FTA finance – [email protected]. FTA finance operate on a client friendly arrangement whereby they are only paid upon successful drawdown of the monies for the deal. Often their fee is derived directly from the bank itself as an introducer. Can I go and see one or several of the shops I am interested in? Until an offer has been provisionally accepted by our client – interested parties may only carry out mystery shops of the premises and on no account should any of the staff members or the seller themselves be approached or contacted in relation to the sale. Can I purchase a single shop, or two or three? Yes you can – on the offer form you need to complete, you will need to specify which shops and from which regional groups your offer relates to. Can I purchase all of the shops? Do I have to pay anything else in addition to the guide price / my offer price? The guide prices and offers would normally include fixtures and fittings of the shops. It will not include the stock held and this would be paid in addition to the offer price. Legal fees and accountancy fees would also be borne by each respective party, buyer and seller. What about legal and accountancy costs? You will need to pay the costs relating to your own legal and accountancy advice so please ensure you have secured quotes in advance of submitting any offer so that you can factor these expenses. How are offers being handled? Can I submit my offer before the deadline? Do the sellers have a preferred sale structure? Yes, our client would ideally like to sell the pharmacies in the geographical groupings identified but is open to other formats or individual shop sales. How can I secure these shops? If you are very keen to secure the shops you must thoroughly assess the financial information, carry out any due diligence possible before the legal stage and make initial enquiries with brokers/banks if lending is required. Once mystery shops have been carried and you are confident of your financial position, you’ll be free to put forward an offer. We strongly advise you to complete all of the required fields within the offer form and present as much information in support of your offer as possible including evidence of your funding, so that we can demonstrate your offer in the best possible light. We will be asking for a deposit at the point of acceptance of any offer and this is paid in return for a period of buyer exclusivity with the seller. A carefully considered and constructed offer with evidence of funding arrangements and a strong deposit offering will very often result in higher levels of confidence from the seller. The strength of your offer is determined purely by the facts and figures you present to us. Can I share this information with my friend who may be interested? All information received AFTER the registration process is subject to the terms of the Non-Disclosure Agreement and therefore cannot be disclosed to your friends, family members or colleagues unless it is within the scope of the non-disclosure agreement – for example, you have made them aware of the confidential nature of the sale and their input is necessary in order to put forwards your offer. Am I able to speak to my finance broker and accountant about this opportunity? All information received AFTER the registration process is subject to the terms of the Non-Disclosure Agreement. Once you have made your professional advisors aware of the terms of the Non-Disclosure terms you have agreed to, then yes you may share the information with them, only to the extent necessary to progress your interest in acquiring the shops. Will I need to place a deposit to secure any of the pharmacies? Yes – you will be asked to put forward a deposit payment in return for a period of exclusivity if your offer is accepted. The terms and conditions of this deposit exclusivity arrangement will be provided to you in advance of making your offer so that you may familiarise yourself with this and take advice as necessary.